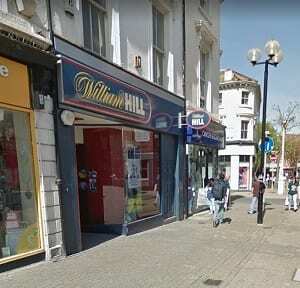 Here you can find out all about the William Hill shop on Terminus Road in Eastbourne including where it is located and what the opening hours are. 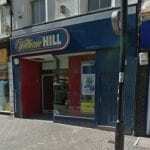 Below is a map which shows where the William Hill betting shop is so you can easily find it if you want to go and place a bet. If you’d like to find out more about the best online offers, check out this page to see a variety of brands. 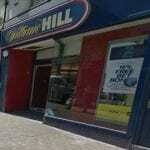 Below you can see some photos of the bookmakers which is located on the busy high street. 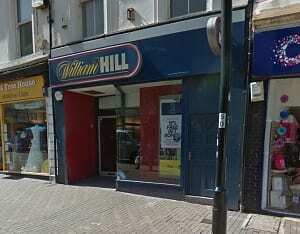 It is near to many other popular shops, cafes and restaurants in the centre. Here are the opening hours for this branch so you know when it’s available to visit. If you’re a fan of different sports, check out our Formula One betting page and also our boxing betting sites to see all the latest offers online. The license status: Grant by Eastbourne Borough Council. Eastbourne is a town, seaside resort and borough in the non-metropolitan county of East Sussex on the south coast of England, 19 miles (31 km) east of Brighton. Eastbourne is immediately to the east of Beachy Head, the highest chalk sea cliff in Great Britain and part of the larger Eastbourne Downland Estate. With a seafront consisting largely of Victorian hotels, a pier and a Napoleonic era fort and military museum, Eastbourne was developed at the direction of the Duke of Devonshire from 1859 from four separate hamlets. It has a growing population, a broad economic base and is home to companies in a wide range of industries. Though Eastbourne is a relatively new town, there is evidence of human occupation in the area from the Stone Age. The town grew as a fashionable tourist resort largely thanks to prominent landowner, William Cavendish, later to become the Duke of Devonshire. Cavendish appointed architect Henry Currey to design a street plan for the town, but not before sending him to Europe to draw inspiration. The resulting mix of architecture is typically Victorian and remains a key feature of Eastbourne. As a seaside resort Eastbourne derives a large and increasing income from tourism, with revenue from traditional seaside attractions augmented by conferences, public events and cultural sightseeing. 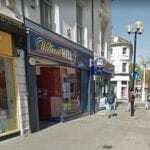 The other main industries in Eastbourne include trade and retail, healthcare, education, construction, manufacturing, professional scientific and the technical sector. Eastbourne’s Devonshire Park is the venue for the Eastbourne International, a tennis tournament held in the town since 1974 and serving as a warm-up to Wimbledon. Previously a women-only tournament, in 2009 the Lawn Tennis Association merged it with the men only event the Nottingham Open. Eastbourne has four senior football clubs: Eastbourne Borough F.C. play in the Conference South. Eastbourne Town F.C. and Eastbourne United Association F.C. both play in the Southern Combination League Premier, while Langney Wanderers F.C. play in the Southern Combination League Division One. 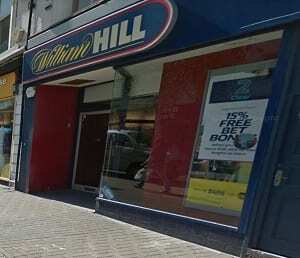 You can use William Hill to bet on these teams either online or in your local betting shop. Eastbourne Eagles are a speedway club located at Arlington Stadium, just outside the town. Between 1997-2014 they competed in the Elite League, the highest level of speedway in the UK. They were champions in 2000. They now compete in the National League. Arlington stadium also sees stock-car racing on Wednesday evenings in the summer months. Eastbourne hosted a triathlon in 2016 and 2017, which attracted professional triathletes such as Ben Allen, Jacqui Slack, Lawrence Fanous and 2012 Biathle world champion Richard Stannard in addition to the hundreds of amateurs taking part. The event takes in the town’s major landmarks, including the promenade and local South Downs National Park. Other local sports clubs include cricket, hockey, rugby, lacrosse and golf. Among Eastbourne’s golf courses are the Royal Eastbourne, Eastbourne Downs, Willingdon and the Eastbourne Golfing Park. There is an annual extreme sports festival held at the eastern end of the seafront. Eastbourne Sovereign Sailing Club, on the seafront towards the eastern end, organises dinghy sailing for its members and visitors from Easter to Boxing Day and usually holds a National Championship Series for a popular UK class in the summer months.